A Power Pack always acts both as a power supply for the connected 24V sensors and depending on the function as a central switching and dimming element. 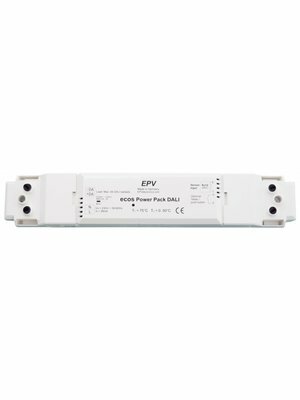 For example, the Power Pack XL DIM contains a very powerful 230V relay for direct switching. 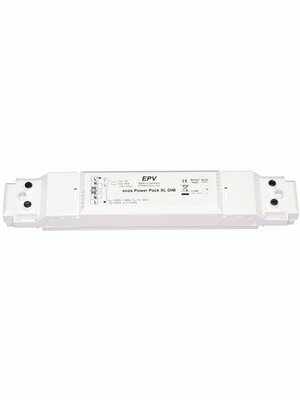 In this case your lights are switched from the relay inside the Power Pack. 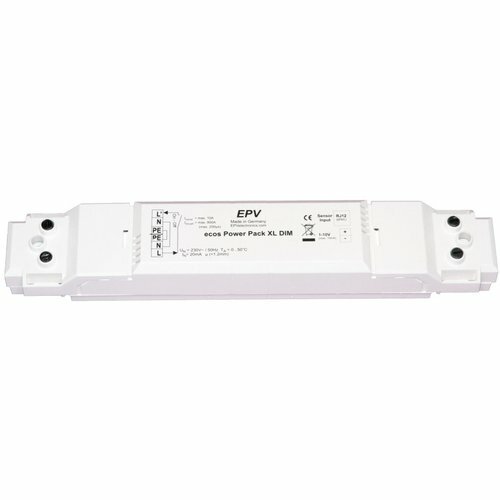 A MASTER sensor of the ecos PM/24V range is connected to a Power Pack. The covered area of the MASTER sensor can be extended with up to 30 SLAVES. The connected sensors act as one sensor with a large monitored area. The sensors are easily connected to the Power Pack via plug & play. Thus no complicated wiring is necessary. Of course, you can also operate the 24V sensors without a Power Pack if you connect them, for example, to existing building control systems such as Loxone, WAGO, Beckhoff, Delta, etc. The power supply for the 24V sensors is then provided by the system and the sensors are signaling the occupancy and lighting information via potential free relay output and 1-10V to the control system.